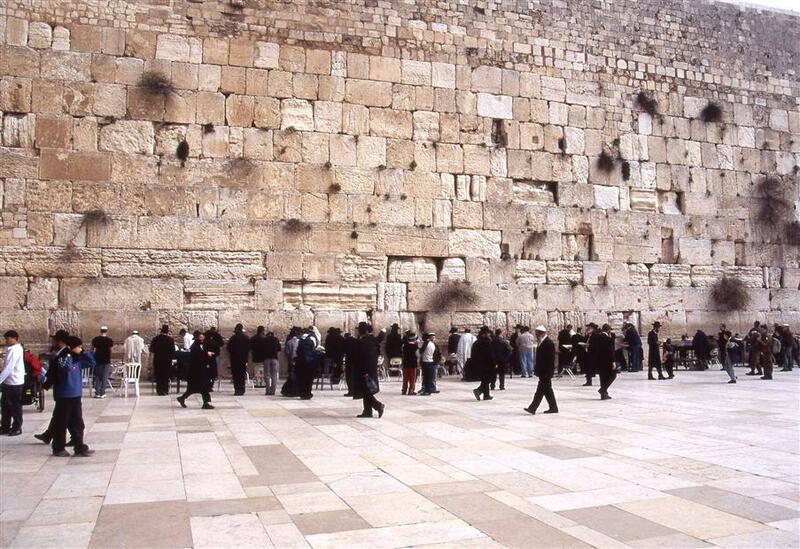 Depart From New York on your Non-Stop flight to Israel. Beverages and meals will be served on board. Arrive in Tel Aviv and meet our guide. Check-in at the hotel to enjoy dinner and a good night’s sleep. Visit Independence Hall, where Ben-Gurion declared independence in 1948. We will drive to Caesarea, an excavated city built by Herod the Great 2000 years ago. Continue to Haifa, for a panoramic tour of the city, including the Baha’I Shrine, Persian Garden, Mount Carmel and Haifa Bay. Next we will visit Nazareth, the boyhood home of Jesus. We will stop at the Basilica of the Annunciation. Visit Mt. Beatitudes where Jesus gave his “Sermon on the Mount” (Matt.5). At Tabgha we will remember the miracle of Multiplication of loaves and fishes (Mark 6) with which he fed thousands of people. Visit Capernaum – known as Jesus’ “own town” (Matt. 9:1) – “walking where Jesus walked” takes on thrilling new meaning. As you sit on the stone benches of Capernaum’s ancient synagogue, you’ll be reminded that right here, Jesus taught (Mark 1:21; John 6:59) and healed a man possessed by an evil spirit (Mark 1:23-27). It was the synagogue on this very spot, whose foundations you can still see, which Luke says was built by the centurion whose servant Jesus later healed (Luke 7:3-5). Jesus also raised from the dead the daughter of this synagogue’s leader (Luke 8:49-53). Then you will enjoy a boat ride on the Sea of Galilee. 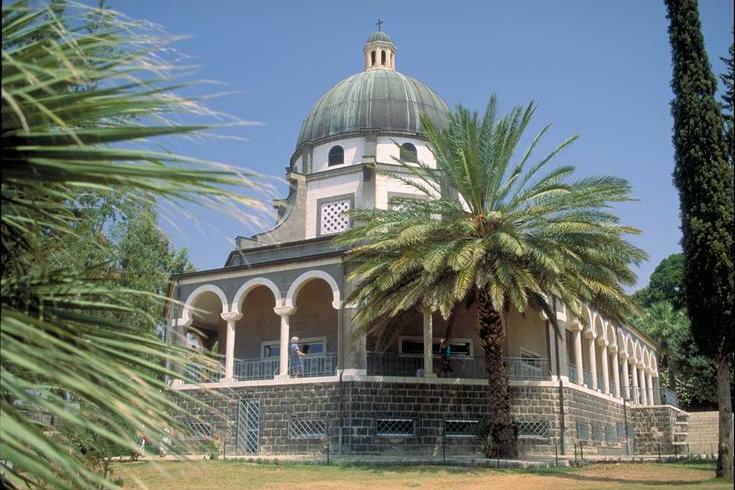 Ancient Magdala, on the shores of the Sea of Galilee, was home to Mary Magdalene. End the day at the Jordan River and renew your baptism as a true pilgrim! After breakfast climb up Tel Megiddo, one of Solomon’s ancient chariot cities, for a view of the Jezreel Valley and future site of the battle of Armageddon. Continue to Beit Shean, historical gem that unfolds the fascinating story of a rich period full of changes, was the capital of the Decapolis cities, through which word of Jesus’ miracles and teachings spread (Matt. 4:25, Mark 5: 20). It has also been a scene of tragedy: more than a millennium earlier, the Philistines hung the body of Saul from its ramparts. 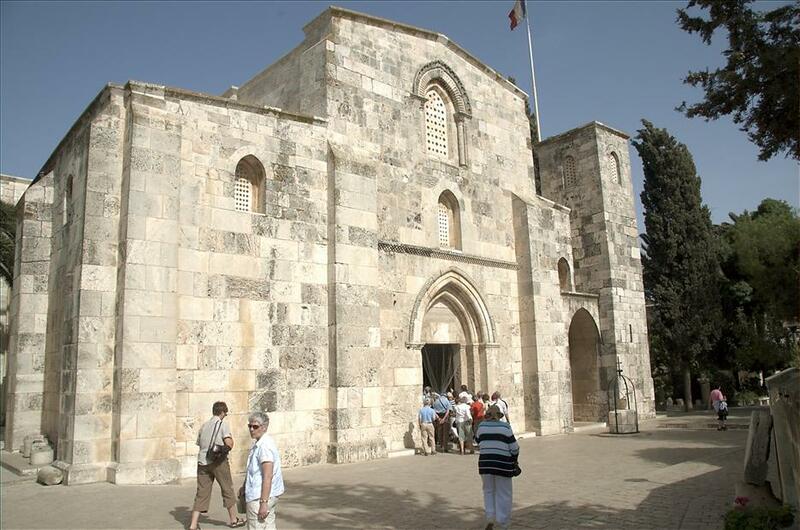 Then on to Bethlehem* and visit The Basilica of the Nativity, the cave believed to be the place where Jesus was born. Arrive to Jerusalem and enjoy the glorious view of the Old City of Jerusalem from the Mount of Olives. Visit the garden of Gethsemane and see its ancient olive trees, remembering Jesus’ agony in prayer for us. We will depart early today after breakfast and start our drive to Arad to see the Fountain of Tears. An artistic representation of Jesus sharing in the sufferings of the holocaust victims. Continue to the mountaintop fortress of Masada overlooking the Dead Sea. Less than 40 years after Jesus was crucified, Jewish rebels took over Masada. In contrast to Jesus’ instruction to “give to Caesar what is Caesar’s” (Luke 20:25), the rebels believed in zero-tolerance for Roman rule. The rebels were surrounded by the Roman army, and took their own lives rather than become slaves. This act has made Masada a symbol of the human spirit’s yearning for freedom and gives a greater understanding of this era of conflict that was the backdrop to Jesus’ ministry. Afterwards, we will descend to the lowest point on Earth and take advantage of the hot springs, mineral waters, and mud baths, and enjoy the desert climate, bathe in the healing waters of the Dead Sea, and breathe healthful bromide-filled air at the desert oasis, Ein Gedi. End the day with a taste of Abraham’s hospitality at Genesis Land and experience life as it was in biblical times. Complete your experience with a Camel trek from Genesis Land along the ridge above the spectacular riverbed of Wadi Kelt. Visit the Pool of Bethesda, the site of the miraculous healing of a paralyzed man by Jesus, as recounted solely in the gospel of John, and also the site of the birth of Mary's mother, "Anne". Here over the original pools the purest crusader church in the whole country was built: St. Anne's. We will walk along Via Dolorosa, the road Jesus walked from the place of Pontius Pilate’s sentencing to Golgotha. We will then visit the Church of the Holy Sepulchre, the most sacred ground in the Christian world; this ancient church stands over the Tomb of Jesus and the last of the Stations of the Cross. Visit Mt. Zion and the Upper Room, remembering the Last Supper and outpouring of the Holy Spirit. Below we can pray and pay homage to Israel’s famous king and ancestor of the Messiah at King David’s Tomb. Then we enter the compound at the St. Peter en Galicantu Church which is built over the site of the house of Caiaphas where Jesus was imprisoned. Proceed to Gordon’s Calvary and the Garden Tomb. First we visit the spot where Abraham offered Isaac in sacrifice on Mount Moriah, the Temple Mount. Uncover the glorious past of the Temple Mount. Sift through rubble that originated in ancient buildings from the Temple Period and learn about findings from archaeologists and expert guides at the site. Visit The Temple Institute with its model of the Holy Temple and reconstructed sacred vessels based on historical and archeological sources. The site tells the story of the Holy Temple throughout the ages. Prepare to be “Awestruck” at the Western Wall, the last remnant of the Jerusalem Temple Jesus knew, destroyed 2,000 years ago by the Romans. Walk through the Western Wall Tunnel – the original Western Wall of Herod’s Temple Mount over which Jerusalem of later eras was constructed, walking along 1,445 feet of the original, enormous 2,000-year-old Herodian stones, seeing the lofty Warren’s Gate, a street and other finds, and a fascinating interactive model. Stroll through the Jewish Quarter and visit the stores along the Cardo, a typical Roman street built in the 6th century. Visit where the Knesset (the name of the parliament in Israel), enacts laws, makes political decisions, chooses the president and the government, and supervises the government’s activity. Next we will visit the Yad Vashem museum Israel’s Holocaust remembrance and education center which is an emotional and heartrending experience, but seeing the exhibits and remembering the Holocaust gives the more than one million individuals, world leaders and dignitaries who pass through its doors annually a meaningful way to commemorate the six million Jewish victims of the Holocaust. We will end our day with a visit to the Israel Museum, the largest cultural institution in the State of Israel and one of the leading art and archaeology museums in the world. We now mark our adventure with the Holy Land by planting a tree in Israel, in so planting a stake of hope and optimism in the future of Israel and leaving our blessing upon this land and praying for the PEACE OF JERUSALEM! Farewell dinner at an Israeli restaurant before we head to the airport for our overnight flight home.